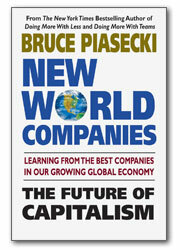 With his upcoming book, New World Companies (to be released by Square One Publishers in January 2016), Bruce is the author of eleven books. 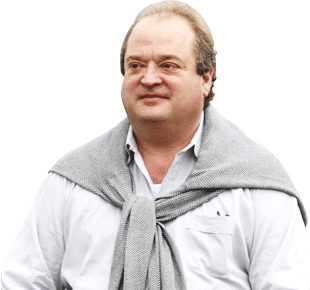 In 1981, Bruce founded AHC Group, Inc., a management consulting firm specializing in energy, materials, and environmental corporate matters. Bruce helps business leaders find the possibilities available in the swift and severe new business environment — an environment that demands better leaders who make better products. 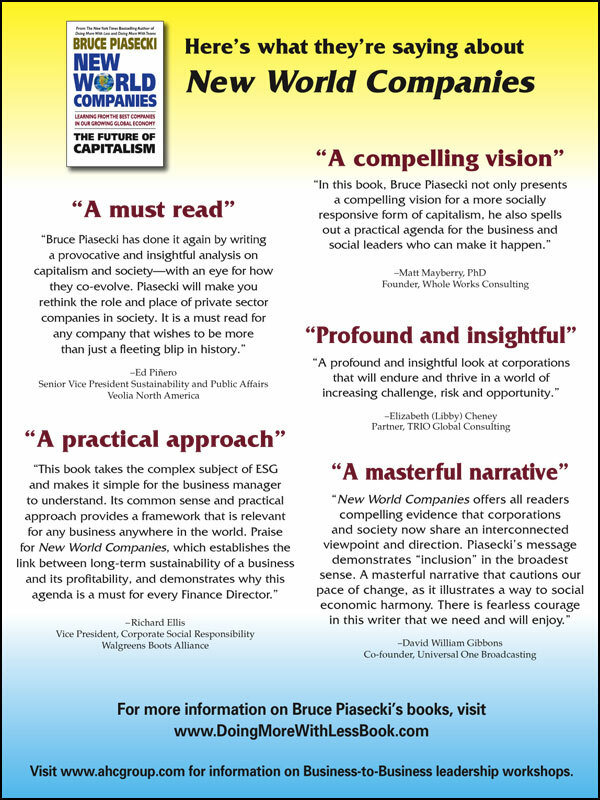 NEW WORLD COMPANIES: The Future of Capitalism Set to be released by Square One Publishers in January 2016, New World Companies has already garnered much advance praise from readers. 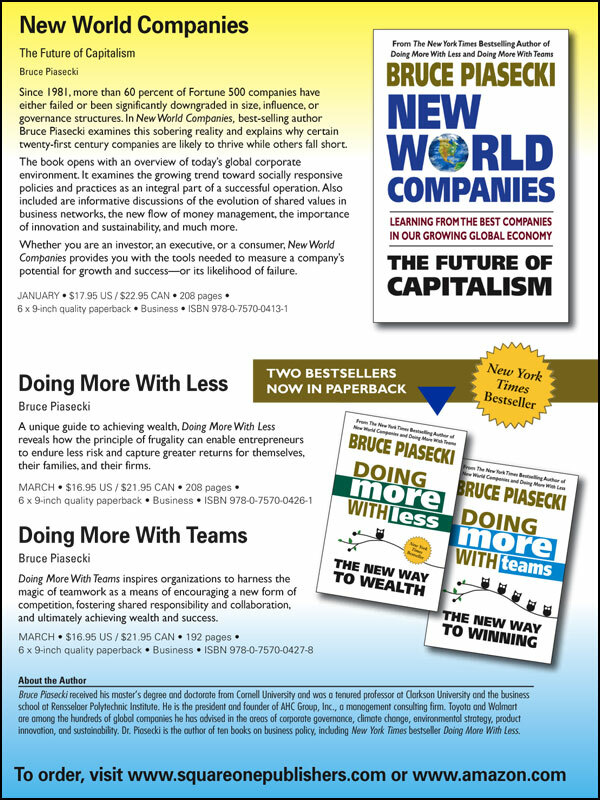 Following on the heels of his two earlier bestselling books, Doing More With Less and Doing More With Teams, this new work is an exemplary and invaluable handbook for learning from the best companies in our growing global economy.